Gaurav Gill held on to the lead, while defending champion Sandeep Sharma has moved up to third on Day 3 of the 2018 Maruti Suzuki Dakshin Dare. 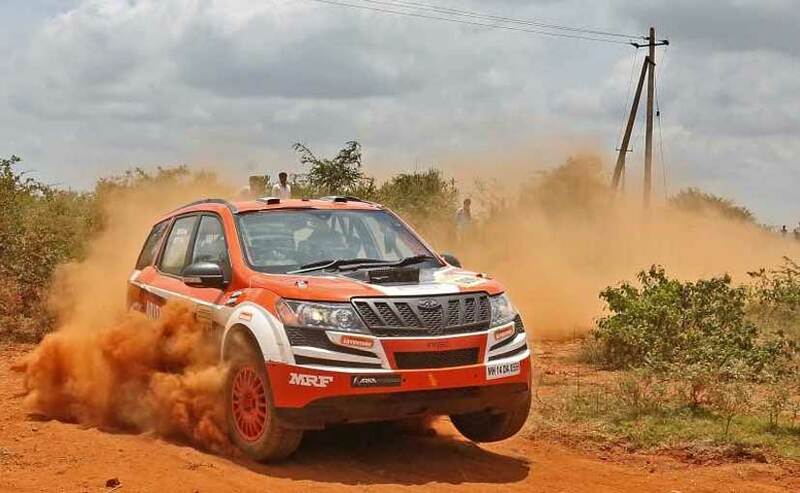 Team Mahindra Adventure's Gaurav Gill and Musa Sherif hold on to the lead on Day 3 of the 2018 Maruti Suzuki Dakshin Dare. The APRC-champion played safe throughout the four special stages completing in a time of 4h59m45s. Gill managed to hold on to the lead with a margin of 8 minutes over teammates Philippos Mathai and PVS Moorthy, who finished the day in a time of 05h07m15s. The big leap, however, was taken by Team Maruti Suzuki's Sandeep Sharma who moved into third place over Amrittrajit Ghosh. Drivers Sandeep Sharma and navigator Anmol Rampal showed impressive pace through the day and completed with an aggregate timing of 5h18m19s. Speaking about the impressive pace of the day, Sharma said, "I was off the pace on the opening day but caught up later. I have been clocking some good time and will go out blazing in the next two rounds as well. I will try to keep it up and let's see how it ends." Coming fourth at the end of day, drivers Amiitrajit Ghosh and his co-driver Ashwin Naik had a flat tyre that saw lose a position losing four minutes due to the issue finishing the stages in 5h19m06s. Maruti Suzuki Motorsports' Samrat Kumar and Karan Aukta completed the day in fifth place with a total time of 5h1929s. In the bike category, Yuva Kumar continues to lead the rally with Akash Aital in the second place. Jatin Jain moved up to third at the end of Day 3.